Easter is so glorious–I really take my responsibility as teacher seriously on special days like this. (Well, all the time but more so on Easter!) There’s so many important details that it is hard to know what to mention. You could just read the story of Easter or show a video of the resurrection but I believe it is always best to bring in some activities that keep kids involved. With so much going on, you need simple activities too! This year, I plan on using these activities to help kids experience some of this life-changing narrative. I want them to wonder at and believe what God has done. For this activity, you definitely need a rock. Over the years, I have used a few methods, making a giant stone from chicken wire and plaster bandages or creating a flat two-dimensional stone from foam board. The first method takes longer but if you want an effect, you should give it a try. I’ve used this tutorial to Build a Fake Rock. For the foam rock, just cut one out and paint it to look like a rock. When kids see this three-dimensional stone, they can see the size and guess the weight. Put an emphasis on how large the stone was that sealed Jesus in his tomb. Talk about how strong those angels must have been to roll that stone away. The part of the story where the women run to the tomb to anoint Jesus with oil really speaks to me. One way to get kids “in the moment” is to pour some olive oil with a few drops of cedar or another fragrant essential oil into a jar with a lid. Visit the craft store to find a container that looks ancient. Cover the jar with a folded linen cloth. Treat the oil reverently and talk about how Jesus’ friends wanted to clean his wounds and anoint him with this special oil. What an amazing sight, seeing Jesus walk through the wall after his resurrection. Tape (with masking tape) a fake door in the wall and talk about how the disciples must have felt seeing Jesus walk through the wall. Ask them how they would feel to see Jesus walk through that wall right now! If you have large cardboard box, why not convert it into an empty tomb. Place a white cloth inside to show the burial clothes. Paint the outside to look like a stone or use markers to give it definition. 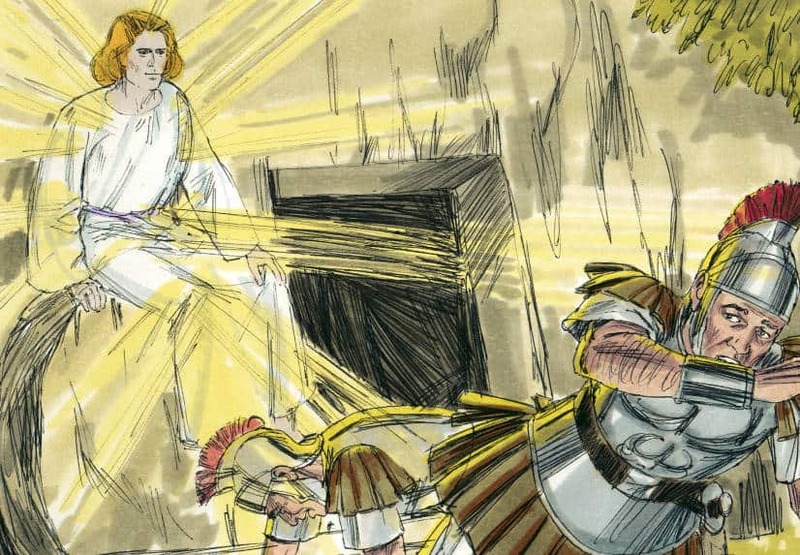 Let kids walk past the tomb and peek inside. Read more from Mimi by visiting her blog at Tools for Kids Church. Tony Kummer (Editor) reviewed & updated this page on : April 4, 2014 at 8:10 am. All our content is peer reviewed by our readers, simply leave a comment on any post suggest an update.